Influencer marketing campaigns on streaming channels should be used to build brand awareness, according to Loots CEO Marc Fuehnen. 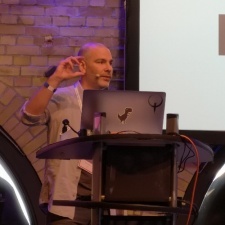 Speaking at Quo Vadis 2019, Fuehnen said he had yet to see many conversions from livestreaming when selling a $60 game, but it serves as a perfect way to notify consumers of your product. For marketers considering a campaign across multiple assets and channels, he advised to use livestreaming as the “kick-off”. The most important part of using streaming platforms to market your game is concurrency, said Fuehnen. That means if you’re working with five or 10 streamers, you want them all streaming at the same time. He suggested that if you can choose between one channel with 5,000 views or lots of channels with 50 views, to go for the smaller channels. By having all these channels marketers can ensure their campaign is live around the clock across various time zones, with each livestream lasting an average of around four to six hours. If your game can surpass 5,000 concurrent views, it’ll likely enter the top 20 and increase exposure for your game. Calculating the cost of a campaign over a day, Fuehnen said that marketers will likely spend an average of around $25 per hour. If you work with 100 channels that average 50 viewers each, over 24 hours that campaign will cost $60,000. The actual figure may of course differ slightly, but he used that as a benchmark to consider. Fuehnen also suggested the campaigns might need only last 18 hours rather than 24 hours if covering just Western markets. This article was originally published on PocketGamer.biz. Full disclosure: PocketGamer.biz is a media partner for Quo Vadis. My flights and accommodation were paid for. Our coverage remains neutral.